Designated disabled parking bays are available. There is access to the grounds, manual wheelchair users may need assistance. Disabled toilet facilities are available. Access to the Hall is via a ramp at the rear of the Hall. Refreshments available in The Butler's Pantry on open days. The Hall is open on Sundays and Mondays from April to October - see website for times and restrictions. The Capesthorne Garden surround the Hall with woodland, parkland, and lakes. 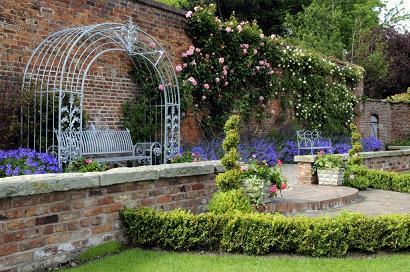 If you are visiting Cheshire take a trip to the Garden at Capesthorne Hall. Through the Milanese Gates, opposite the Chapel, the tranquil gardens, alongside the estate's chain of lakes, merge colourful perennials with more unusual 18th century plants, maples and cherry trees. But the natural beauty of Capesthorne also leads to intriguing glimpses of its man-made past... the remains of the Ice House, the Old Boat House and the curious Swallow Hole. 2019 - Capesthorne Hall is normally open from March to October on Sundays, Mondays and Bank Holidays only. If you want to find places to stay near Capesthorne Hall Garden, why not stay in one of our recommended hotels. Each hotel has genuine guest reviews enabling you to book from anywhere in the world in total confidence. Not only do we feature hotels near the garden, we also feature hotels worldwide and at all major airports. Special prices up to 70% off standard rates as well as hundreds of exclusive deals. 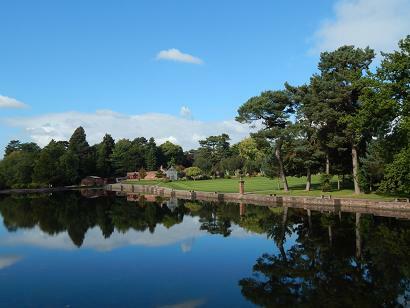 Look now for Capesthorne Hall Gardens - click here.